New ProdecoTech E-Bikes w/ Internal Frame Battery! ProdecoTech just announced 9 new models of their electric bikes with the battery integrated into the downtube of the frame! When I visited the new ProdecoTech electric bike assembly facility near Fort Lauderdale, Florida I had a chance to see and test ride some of their new prototype bikes that will be launched in their 2014 line up. 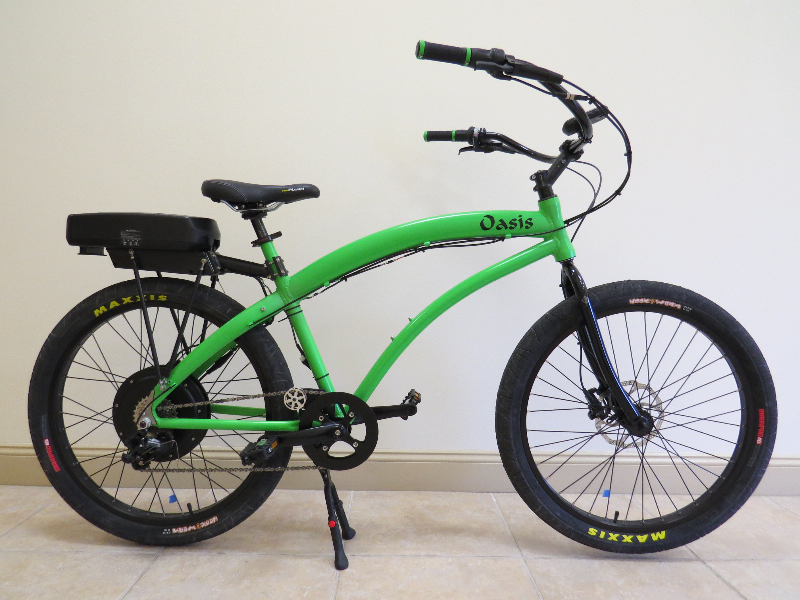 The 2 bikes that I test rode were the Phantom X3 and the Oasis beach cruiser style e-bike.